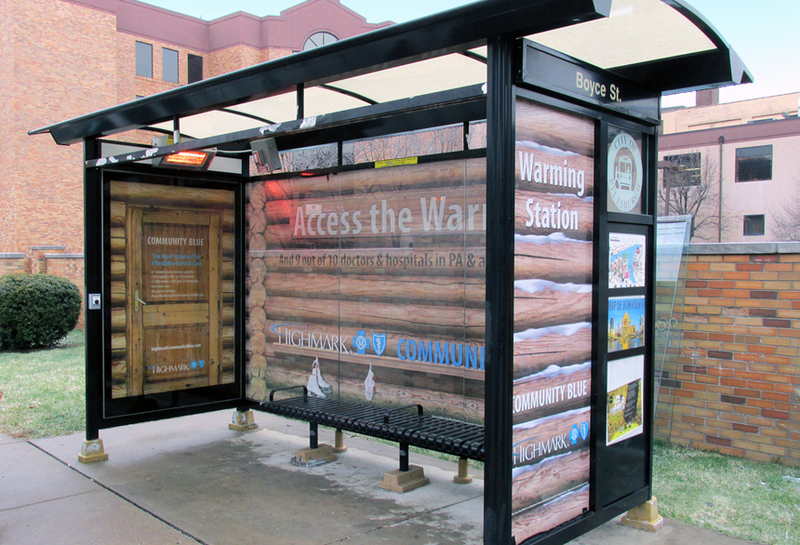 Highmark transformed four bus shelters in Pittsburgh into warm log cabins - complete with warming stations - for this winter campaign. Each unit was fully wrapped to give the appearance of a log cabin. Mini heaters activated by motion or with the push of a button were installed in the shelters to provide consumers with a warming experience.